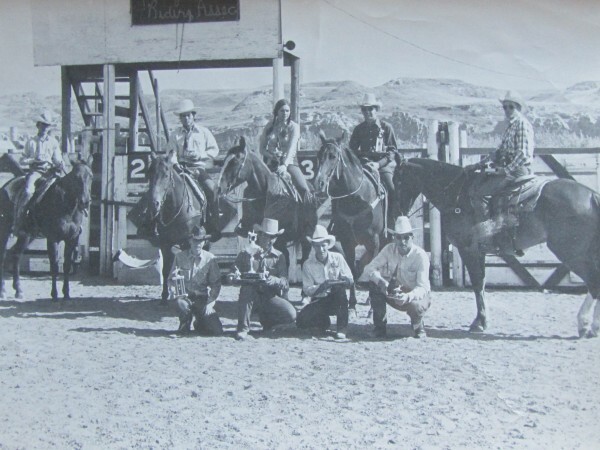 On February 19, 1958, a meeting was held at the Lucky Strike Hall to form a roping and cutting horse club. 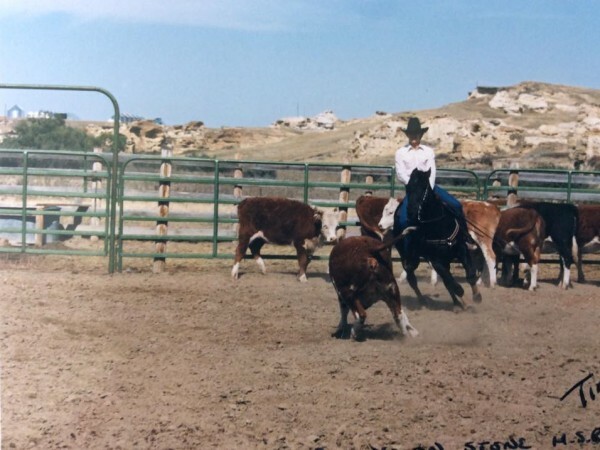 Plans were made to construct a set of corrals at Writing-on-Stone Park and to have days of competition. Albert Conway was elected the first President with Joe Audet as Secretary-Treasurer, and Elmer Brownlee, Tye Hirsche, Russell Thielen, and Arnold Hollihan as directors. 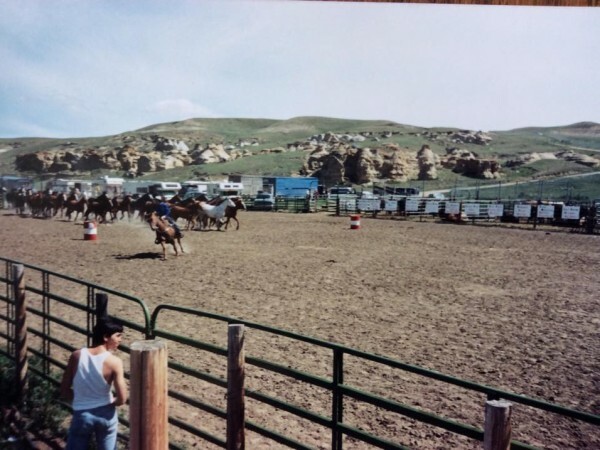 On April 11, 1959 , construction began on the corrals. 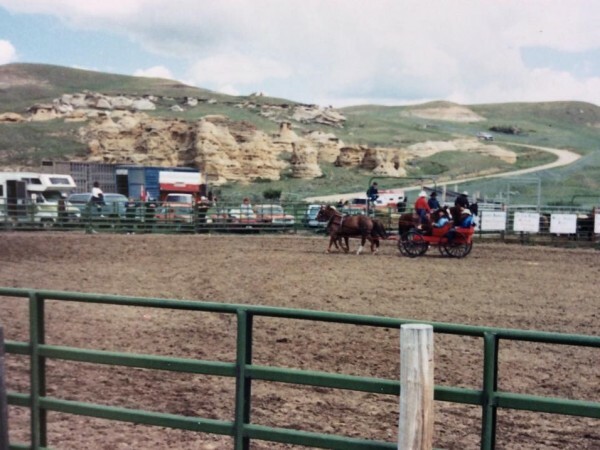 The original arena was built of rails, hauled from Elkwater/Cypress Park by club members. During this year and the next the club was officially incorporated and really progressed. 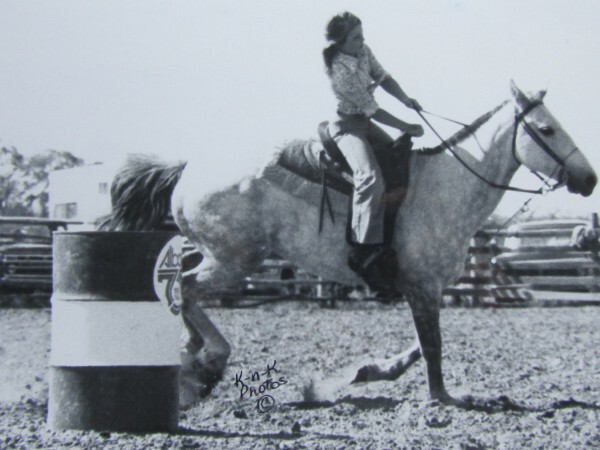 During the summer there were several club days of competition featuring calf roping, cow riding and gymkhana events. Over the years the club has attracted members from Lethbridge to Manyberries. 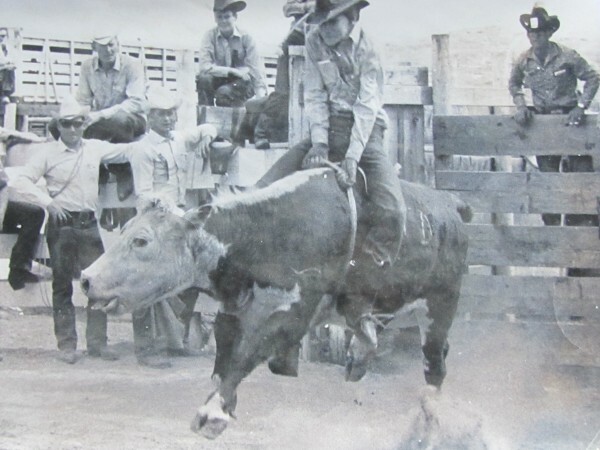 In the summer of 1965 the corrals were expanded in order to accommodate the first rodeo on June 4, 1966. 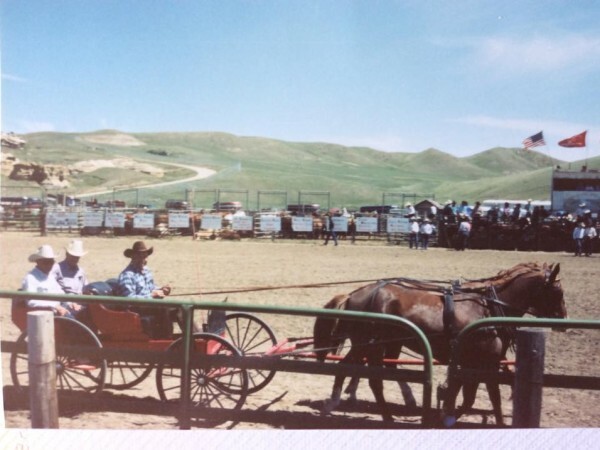 Six bucking chutes were built. 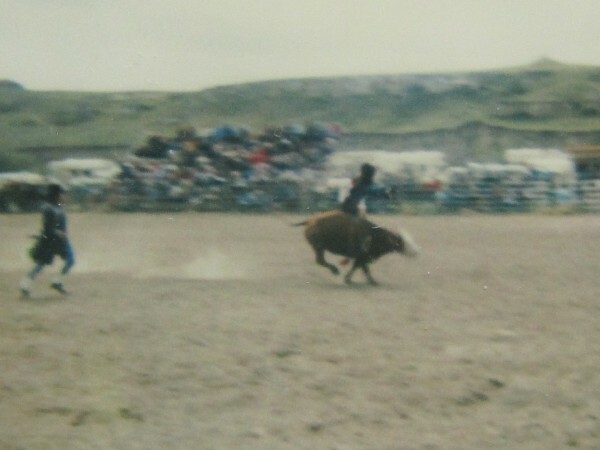 The rodeo was held on the first weekend in June until 2004, when it moved to the first weekend in August. The arena has been remodeled several times. 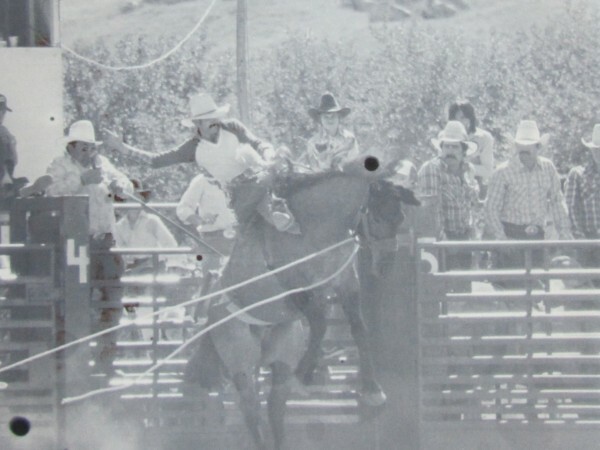 The original wooden chutes were replaced by Powder Rives metal chutes and the arena shortened because of the erosion caused by the river. 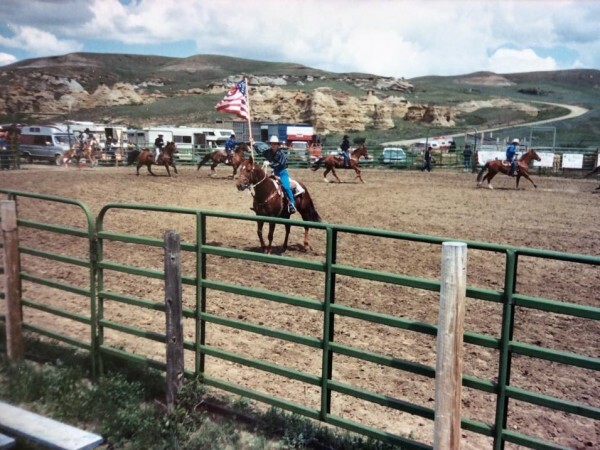 In the 1990″s the arena was redesigned oval with new 2-W chutes and metal corrals. Last year a new Calf Handling chute and Announcer Booth were installed. All this work was done by volunteers. 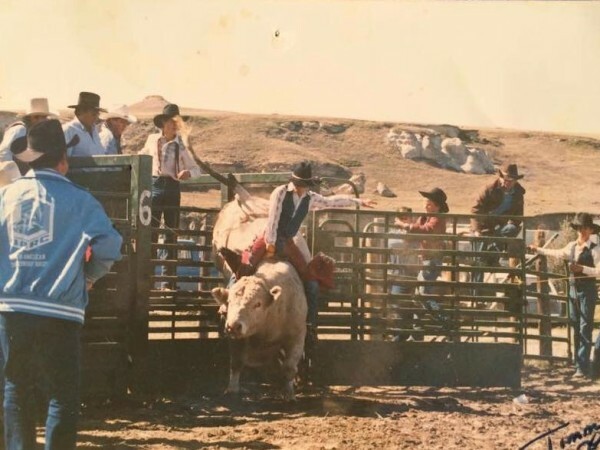 This year is our 50th Rodeo. 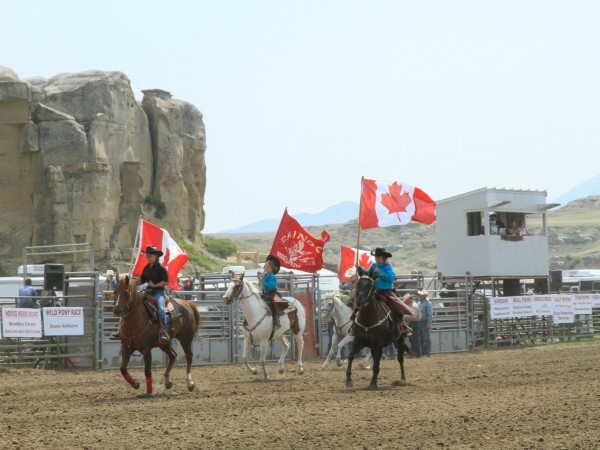 The first rodeo started with a parade, chicken dinner at noon, rodeo and a dance to follow. 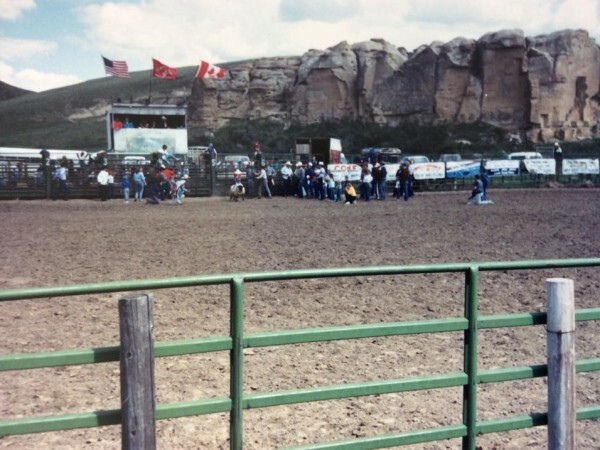 This year we are having a dance again in the Beer Garden area to celebrate 50 Years of Rodeo! We have grown from a 1 day show to 3 performances drawing contestants from all over Wesrtern Canada to Australia and Mexico. 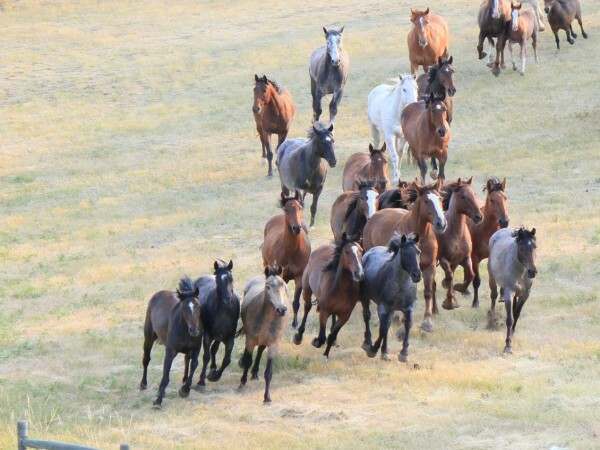 This wouldn’t have been possible without Community cooperation and volunteer help.